The next time I see a salad spinner at a thrift store or a garage sale I am picking it up. Not for my kitchen, but for the kids art drawer. When I was young, I had a spin art set that I loved. Rebekah recreated the same fun using a salad spinner. I am pretty sure the kids are going to love it as much as I did...if I let them have a turn! 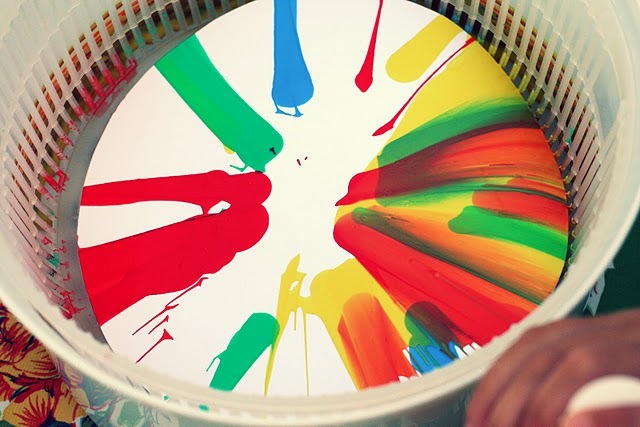 You can check out more of her spin art tips over at A Bit of Sunshine.